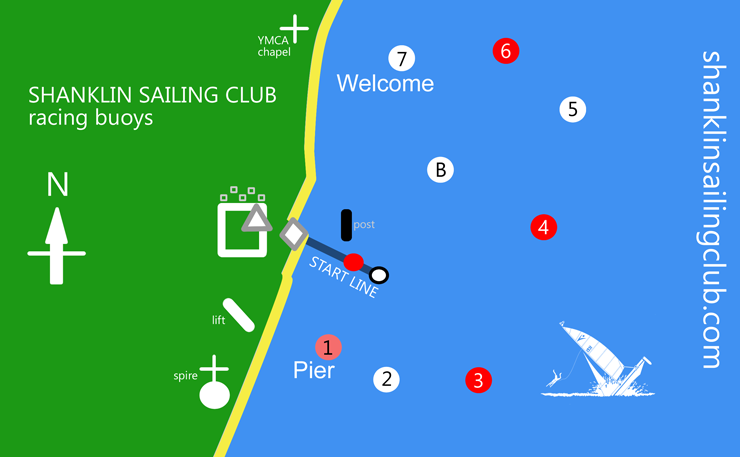 The map below shows the start box, start line marks and position of the racing buoys. The club house is at 50° 38' 2'' North, 1° 10' 13'' West. Start bouys may not be on the start line.